On 25 November 2012, the First Circuit of the administrative court ordered the Bureau of Investigation and Prosecution to pay human rights defender Mikhlif bin Dahm Al-Shammari 159,000 Saudi Riyals (approximately 32,680 euro) for being arbitrarily detained for 106 days in 2007. At approximately 9am on 25 November 2012, the First Circuit Court ruled in favour of the human rights defender.While he was in prison last year, on activism related charges, the First Circuit Court found that his detention between 5 February and 23 May 2007 was arbitrary and ordered the Bureau of Investigation and Prosecution to pay compensation. The Bureau of Investigation and Prosecution applied to the Court of Appeal to overturn the ruling claiming that Mikhlif bin Dahm Al-Shammari’s detention related to state security and terrorism. The Court of Appeal sent the case back to the First Circuit Court on the basis that the Bureau of Investigation and Prosecution needed to supply evidence to support the claim. However, the Bureau of Investigation and Prosecution failed to produce any such evidence during four successive hearings of the First Circuit Court. While the GCHR welcomes this result it expresses concern at the on-going judicial harassment faced by human rights defenders in Saudi Arabia. 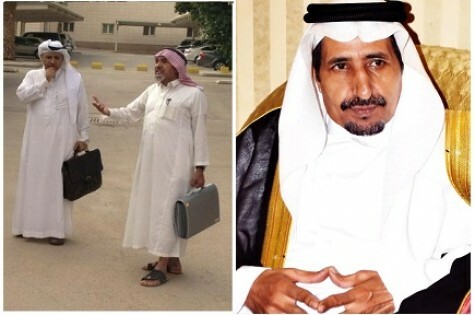 On the 24 November 2012, human rights defenders and founding members of the Association for Civil Rights and Political Rights (ACPRA) Dr Mohammad Al-Qahtani and Dr Abdullah Al-Hamid appeared before Riyadh Criminal Court for the sixth hearing of the on-going trial against them. ACPRA reports on human rights violations, and helps families of detainees held without charge or trial to bring cases against the Ministry of Interior before an administrative court. The trials of the two human rights defenders began in June 2012 and are based on human rights activism related charges including setting up an unlicensed organisation, understood to be ACPRA, and inciting public disorder. The GCHR issued an appeal concerning the on-going judicial harassment of human rights defenders Dr Mohammed bin Fahd Al-Qahtani, Dr Abdullah Al-Hamid, Mukhlif Al-Shammari and Waleed Abu AlKhair on 18 June 2012(http://gc4hr.org/news/view/177). The two human rights defenders appeared in front of the Court on 24 November 2012, to respond to the charges against them. It is reported that at the hearing, which was attended by approximately 65 people including reporters from Sky News and Al-Jazeera, the judge and the defendants debated the issues and there was no input from the Prosecution. Dr Abdullah Al-Hamid reportedly told the judge “This is a malicious lawsuit. It aims to silence me and rights activists like me”.The next hearing is scheduled to be heldon 1 December 2012. Dr Al-Qahtani has challenged the legitimacy of the proceedings and argued that the charges and the trial are of a political nature, because they are conducted under orders of the Minister of the Interior. As a result, he claims that the prosecutor can not pursue a criminal investigation except under the direct guidance of the Minister of the Interior.Dr Abdullah Al-Hamid and his lawyers challenged the fact that the case was not randomly assigned to a judge as per normal court procedure, but was instead referred to a specific judge claiming that the referral could prejudice the trial and the integrity of the judiciary. The GCHR believes that the on-going judicial harassment of Dr Mohammed bin Fahd Al Qahtani and Dr Abdullah Al-Hamid is directly related to their peaceful human rights work and the legitimate exercise of their right to freedom of opinion and expression. 2. Guarantee in all circumstances that all human rights defenders in Saudi Arabia are able to carry out their legitimate human rights activities without fear of reprisals and free of all restrictions including judicial harassment.